As a business partner of MOUTHPEACE MEDIATION LLC, East Bay Human Resource Solutions provides services and solutions for workplace conflict and disputes. Conflict in the workplace is costly. Stress increases, productivity goes down. Absenteeism rises. The entire workplace suffers as good employees leave and morale deteriorates. The cost to hire and train new employees is substantial. Over the years, we have developed a specialized framework for utilizing mediation as a tool for improving effectiveness and working relationships for high value employees. We also have basic skills programs for every level of an organization. Mediation is an opportunity for companies to deal with conflicts and disputes that arise in the workplace. The parties meet with an outside neutral trained mediator to negotiate a resolution that leaves employees empowered and strengthens working relationships. Mediation is impartial, confidential and voluntary. Mediation saves time and expense. With mediation, the parties create their own solution. Because they do so, mediated resolutions work better and last longer. Each party leaves having been heard. The results speak for themselves. 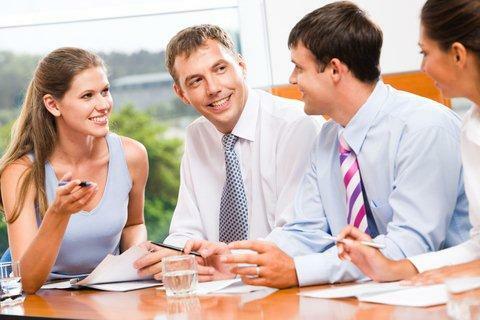 Workplaces that use mediation become more collaborative and team oriented. Morale is higher and employees learn to deal with the conflict that inevitably occurs in the workplace. We are happy to visit your worksite to learn about the needs of your organization and to discuss how we might help your company to increase productivitiy, develop respect in the workplace, and build morale and wellness. Your employees will learn how conflict can be turned into opportunities for listening, understanding and building communication and teamwork. We will work with you to create a more productive environment where employee committment and morale are raised to a higher level. Dealing with conflict effectively begins with a comprehensive Conflict Resolution System. We will work with your Human Resources Department and employees to develop a plan for dealing with future conflict in your workplace.